There's no denying the kitchen is a place we spend a lot of time in each week. Whether it's preparing the evening meal, packing lunch-boxes, baking, unloading the dishwasher, putting away groceries, or actually eating a meal, a lot of action takes place in this one area! Which is why it is so important to get your kitchen as organised as possible, so you can make the time as stress-free and enjoyable as possible. If you’re finding your kitchen a difficult area to manage - be it lack of space, knowing which storage products are best, or how to clear the clutter - then this post is for you. 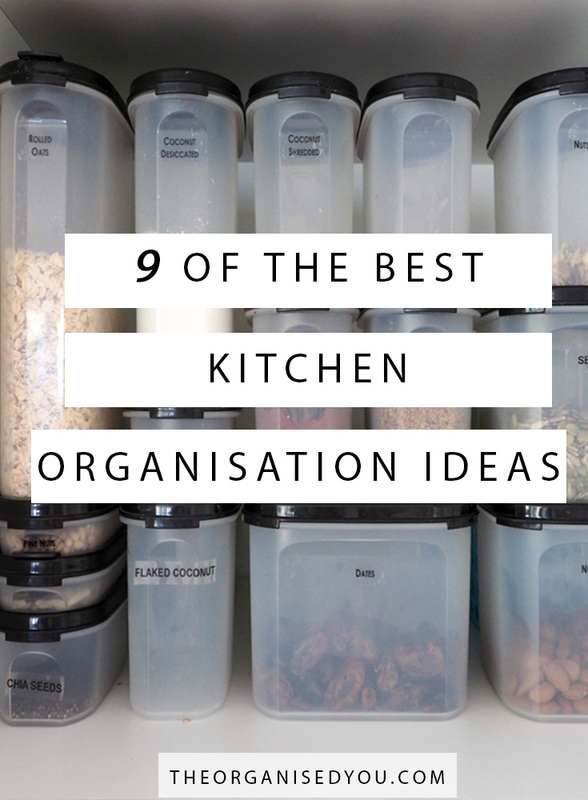 I’m sharing 9 of the best kitchen organisation ideas that you'll wish you'd known sooner! Attach open shelves wherever you can - to any available wall space, the side of a cupboard, the underside of the island bench, the backsplash… think outside the box! 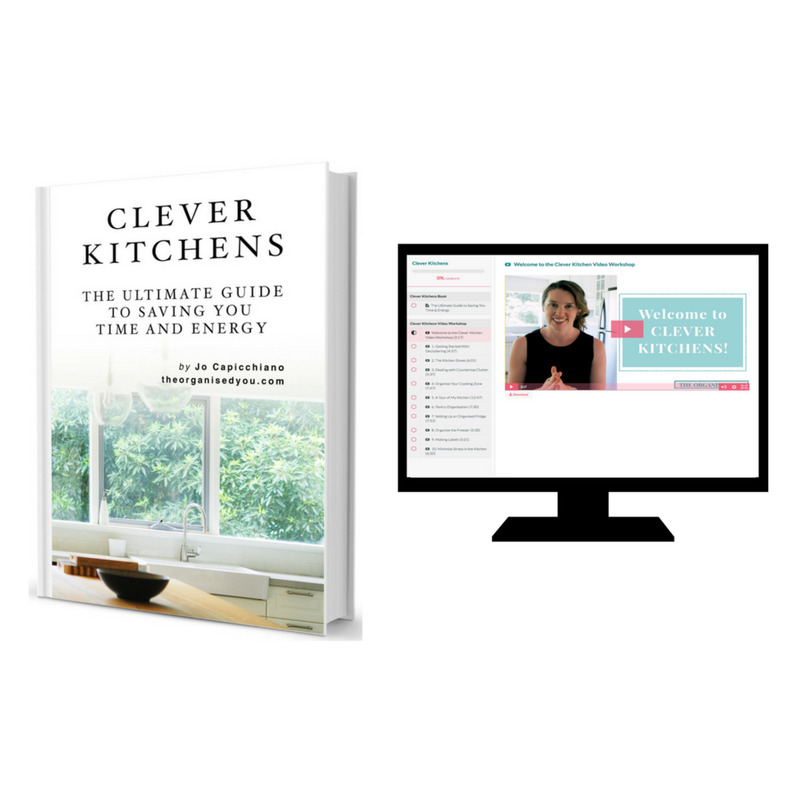 SAVE YOUTIME AND ENERGY, IN 'CLEVER KITCHENS'. One of the quickest ways for a kitchen to become cluttered and disorganised is having too many things out on the countertops. It’s all too easy for this space to become a dumping ground for paperwork, bags, keys, wallet, toys…. 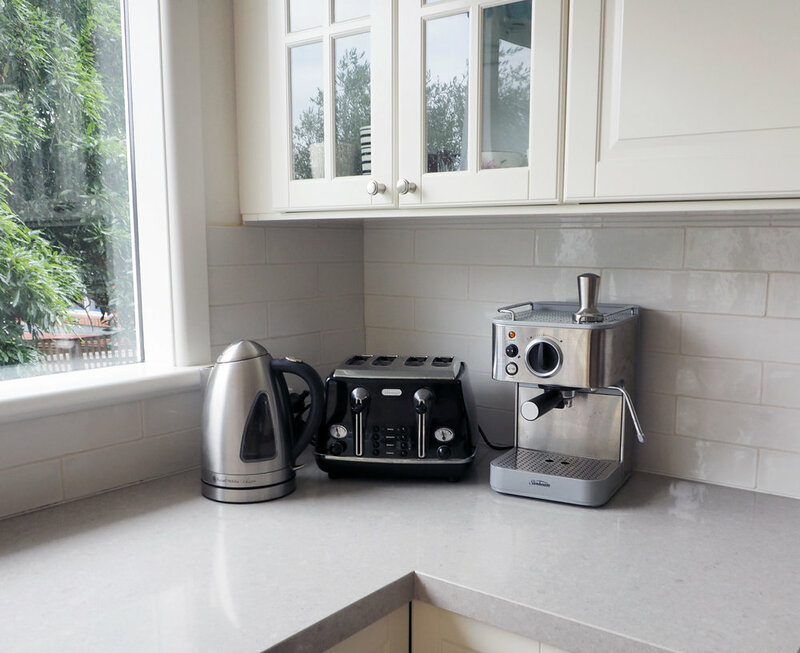 If you don't have homes for these things, countertop clutter can make the cooking process more difficult, and the kitchen a rather unpleasant place to spend time in. Determine your essentials - what items are you reaching for and using every day that would make the most sense to keep out on your countertops? This might include the kettle, coffee machine, toaster, fruit bowl, chopping boards. Only the daily essentials should be kept out. If bulkier items are on your countertops (i.e. 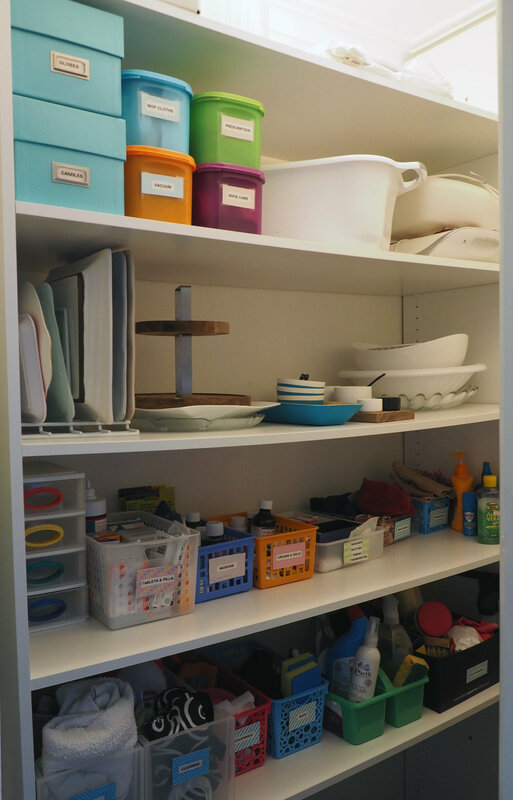 blender, food processor, pans) it's probably because you’re lacking cabinet storage - so it’s time for a big declutter to create more space! Think about which things you really do not need, use or enjoy using on a regular basis. Pass these onto those who will get use out of them. Set up a command centre in a central living spot to contain all the paperwork. Create an organised entryway to store the daily essentials such as bags, glasses, keys, wallets etc. 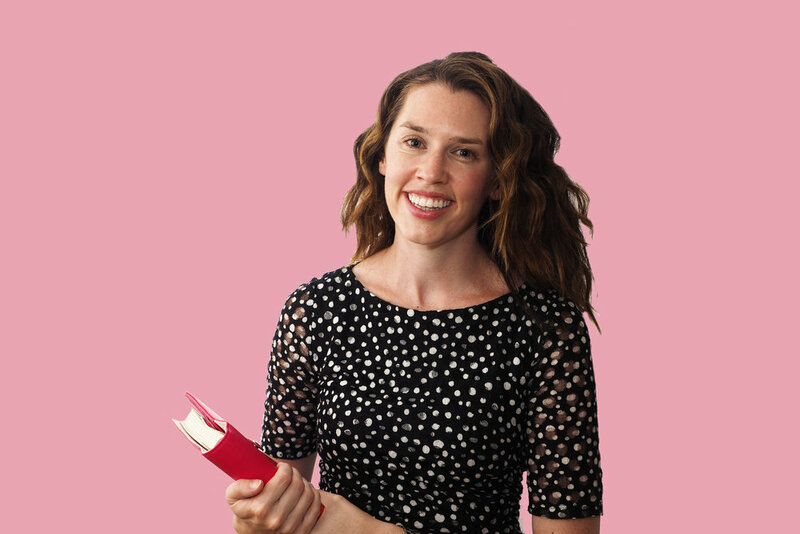 As I spoke about in last week’s video (5 practical ways to make cooking easier and more enjoyable), it’s integral to create an organised cooking zone, so you can easily access the things you need and feel calm when cooking. Keep only your most-used utensils next to the stove-top. Declutter your kitchen utensils as much as possible, and store the rest in a spare drawer nearby. >> Watch the full video here to learn about these organisation strategies in more detail. When it comes to creating organisation and utilising every inch of available storage space in a pantry, fridge and freezer, you simply cannot go past stackable containers. Particularly with widely-spaced shelves, stackable containers ensure no space is wasted. The different sizes and widths mean you can customize your selection to fit your shelves perfectly. Go for clear containers where possible, which will make it easy to see when you’re low on a particular ingredient and need to stock up on your next shopping trip. These containers are definitely well worth the investment! Dividers are absolutely key in cabinets and drawers because they keep both the big and little things categorised. This means your kitchen will be easier to keep clean and organised, and you won’t waste time searching for what you need. Dividers don’t have to be expensive - you can use cheap plastic tubs or baskets (like I showed you in this post) to categorize your belongings. Or you can go for more expensive, customizable ones that give your drawer a bit of extra pizazz! These dividers from Ikea are fantastic for smaller items, such as cutlery, knives, extra utensils, and spices. You can use as many as you need to fit the width of your drawer, and they come in a variety of designs for the different-sized items in your kitchen. 6 | AND PLASTIC STORAGE BASKETS! 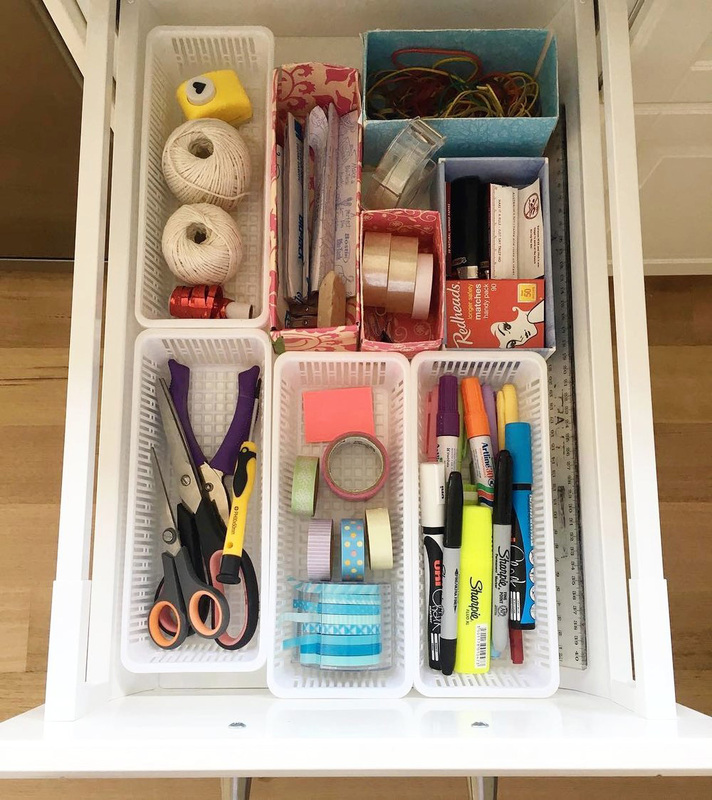 I wrote a whole post dedicated to this awesome organising product (that you can read here) but it has to be mentioned again here! Plastic baskets come in a variety of sizes and lengths, which means they are extremely versatile in helping to divide and categorize your kitchen supplies. An inexpensive and handy solution to organising those little bits and pieces that would otherwise get lost in a drawer or on a shelf. Corner cabinets can be difficult to keep organised, because things are harder to find and access, which means it can turn into a giant mess! A turntable or carousel is a worthwhile investment and will make this cupboard an organised haven! With a simple spin, you can effortlessly get to what you need, plus you can store away the large bulky items - pots, pans, food processor, blender - with ease. Stacked items like baking trays, pans, cookie sheets and muffin trays can take up a fair amount of cabinet space, and it can be hard to get the one you need without toppling the whole pile. 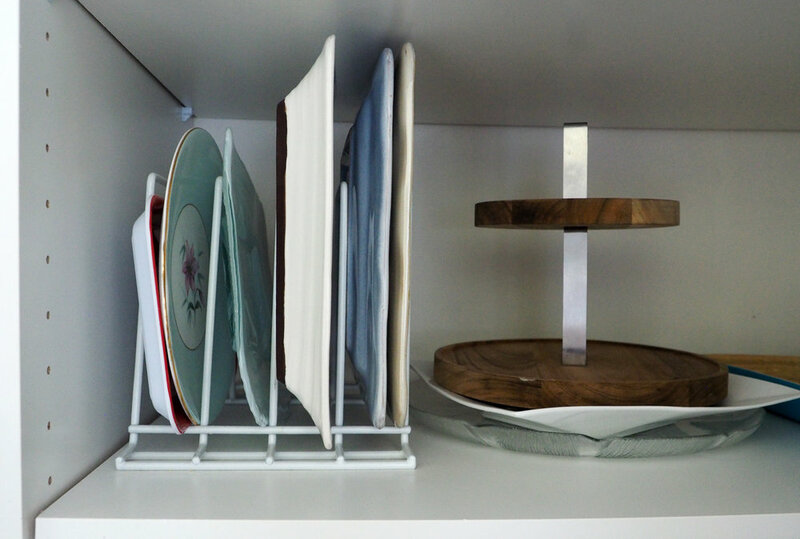 A better strategy is to file these items vertically in a narrow space, or use a dish-rack divider (like this one I use in my laundry cupboard) to keep them organised and easy to access. If you're lacking kitchen storage space, try to find other places in your home to store these lesser used items. Try the linen cupboard or laundry cupboard, or create extra room in the living area with a sideboard or buffet.